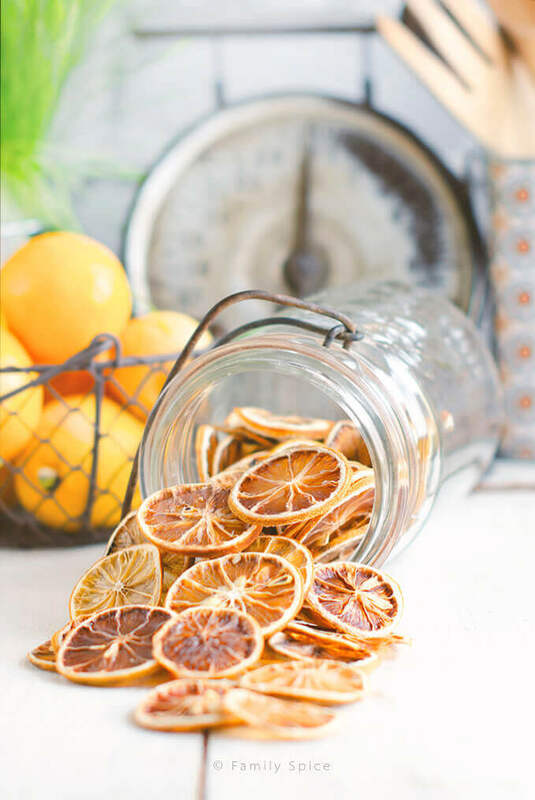 No fancy dehydrator is needed to make your own dried lemon at home. 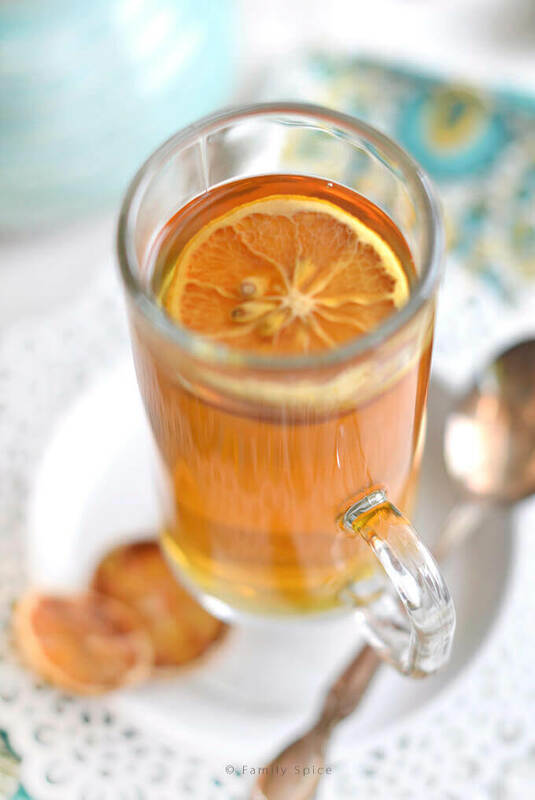 This technique works for oranges, limes and other citrus fruits, too! Have you ever been to the fair and seen the crazy games you play over there? One of the classic shooting games has a little rabbit or animal moving back and forth on a track. When you shoot it with a bb-gun and hit it, the animal reverses directions. So back and forth it goes, turning back and forth and changing directions at the whim of the shooter. Well, most of the time, it feels like that rabbit is me. And I suppose my kids and family are the ones shooting their bb guns at me, making me hustle about in so many directions. I might be getting breakfast one minute and then rushing a kid out the door to meet their carpool ride the next minute. There’s the “Mom, where’s my shoe? !” dilemma and the “I can’t find my hat!” conundrum. It’s exhausting being a mom of 3 kids! Then I received some gorgeous Meyer Lemons and Pink Lemons from Frieda’s Produce and I happily found myself drowning in lemons. I love citrus season and these lemons put a smile on my smile. 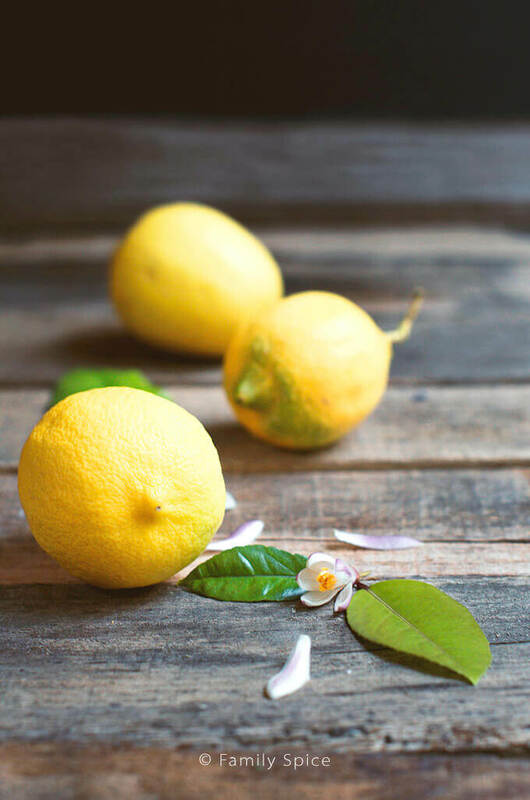 Did you that there are studies out there showing that the smell of lemons can reduce stress? Sun drying fruits has been a time honored tradition for centuries by cultures all over the world. It is a way of preserving fruits and using them long past their normal life span. From dried apricots to dried apples, practically every fruit imaginable can be dried. Today we do not need to lay our fruit slices out in the sun to dry them out. 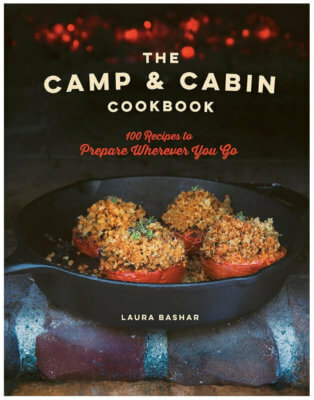 We can use dehydrators and also our ovens. The technique is the same either way. Low but warm temperatures over several hours will slowly remove the water from the fruit, and not cook it. Yes, I have been asked this question! No, you can not. A microwave cooks food quickly at high temperatures. Your fruit would cook in the microwave and not dehydrate. Sorry! How long will dehydrated fruit last? This depends on several factors, from fruit to type, to method of dehydration, moisture content, and even method of storage. Some dehydrated fruit can last up to five years if properly prepared and stored. If your dried fruit still has moisture in it, it will mold. So you really must make sure your fruit is completely dry. If you oven drying, this can be an issue. Press a paper towel against your fruit to see if any moisture remains. If it does, continue drying in the oven. Oxidization will deteriorate your fruit’s flavor and nutritional content. Vacuum sealing will reduce the oxidation rate and preserve your dried foods longer. For my dried lemons, I keep them in a jar stored in a dark cabinet and they last for approximately 6 months. After this point, the dried lemon slices start to discolor and then I throw them out. Now this is where the fun begins! Middle Eastern cultures have been using dried lemons and limes for centuries. Dried limes look horrible, they are brown, wrinkly and the size of a ping pong, but they offer so much incredible flavor. The entire dried lime is chopped and added to countless soups and stews. You can do the same thing with these dried lemons slices, add them to soups and stews for lemony flavor. You can also add them to your tea or hot water. I had one reader tell me she topped her vanilla ice cream with a slice. These oven dried lemons are edible. They are just lemons that have been dried. You can dip them in chocolate to make a sweet and sour treat or use them as decoration or pot pourri. You can also pulverize the dried lemon slices in the food processor or blender for a nice powdered lemon to use in your cooking, too. The uses of dried lemons are only limited by your imagination. My family has a beautiful lemon tree in our yard, so we use a whole lot of lemons. I juice most of my garden grown lemons so I decided to dehydrate some of the Meyer and pink lemons that I received from Frieda’s Produce. They really are a gorgeous sight, aren’t they? 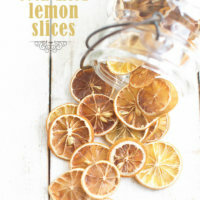 I do not own a dehydrator (hard to believe), but oven dried lemon slices are easy enough to make without a dehydrator. I certainly wasn’t going to battle the birds and squirrels and dry my lemons outside in the sun! Although you can. You just need to place a net over them to protect them from the critters. Slice the lemons evenly, from 1/8 to 1/4-inch thick. Place the slices on a cooling rack over a baking sheet or a parchment paper lined baking sheet. Bake in the oven to the lowest temperature (for my oven it’s 170ºF/77ºC) until dry, for approximately 4 to 5 hours. For even drying, rotate the baking sheets every hour or two. My first batch of lemons turned a little black since my cooling rack was a little dirty – hubby ruined it when he used it on the bbq. 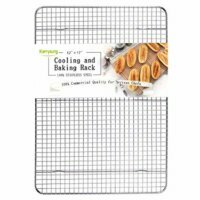 So make sure your cooling rack is squeaky clean before using! Parchment paper works just as well. 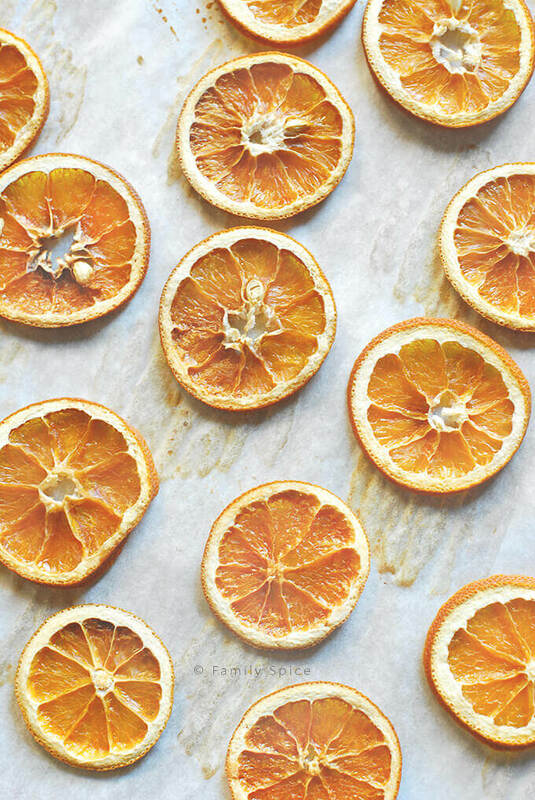 Can I oven dry other citrus too? This technique can be used to dry oranges, lemons and other citrus fruits. One year, I used the dried oranges as Christmas decorations. And of course, the house smells so good during the drying process. I hope you have fun with this and let me know how they turned out. And of course, let me know how you used your oven dried lemons! 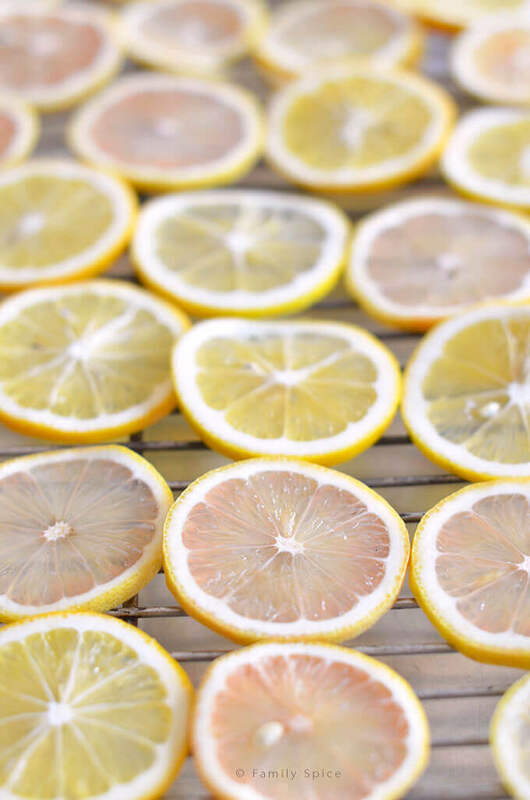 No fancy dehydrator is needed to make your own oven dried lemon slices at home. 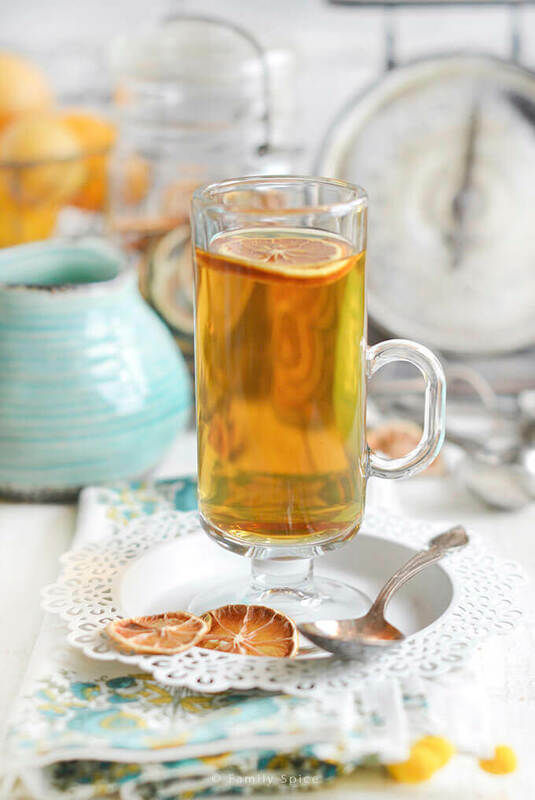 This technique works for oranges, limes and other citrus fruits, too! Slice the lemons evenly, from 1/8 to 1/4-inch thick. You can get approximately 8 slices per lemon, depending on the size of the lemon. 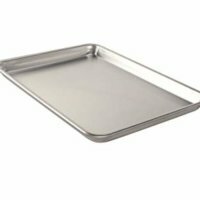 Place the slices on a metal cooling rack over a baking sheet or a parchment paper lined baking sheet. Bake in the oven to the lowest temperature (for my oven it's 170ºF/77ºC) until completely dry, approximately 4 to 5 hours. For even drying, rotate the baking sheets every hour or two. What an easy and terrific idea! 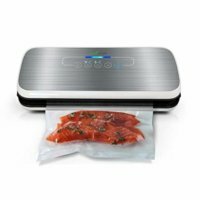 I actually have a dehydrator hiding behind a number of other packs in my pantry, but this is so easy and foolproof that I doubt I’ll go fishing for the other!! When the citrus season is on, what a great way to prepare for the months ahead!! As far as your amusing-to-us family hurry-scurry story is concerned . . . when it is all over methinks you will remember all the happenings with great warmth and with a lot of smiles . . . I just put 3 Meyer lemons to dry in the oven. Yahoo! Thrilled to have this recipe – our Meyer lemon tree is overflowing – as our trees throughout our neighborhood. Thanks! How long do these last and how do you store them? If you keep them in an sealed jar or container, they should keep for up to six months. And of course, they last longer if you only want them for decoration. 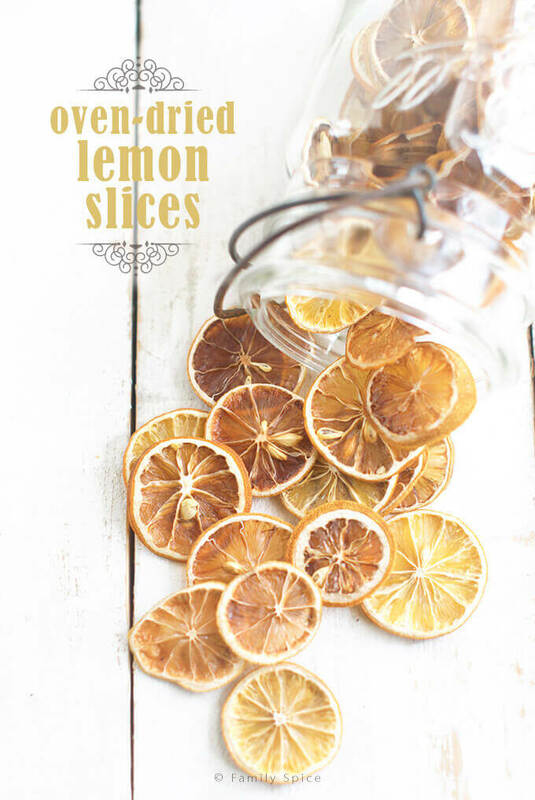 Beautiful color of this Oven Dried Lemon Slices and how easily you showed the idea. That was great. Yes, they should be fine at room temperature. If there is moisture in the air, they might soften a bit, but other than that, they should be fine. We used to do this with candied lemon slices at the restaurant. Never occurred to me to just do “regular” citrus, too. Now I’m dreaming of powdered lemons and oranges! What a delicious idea to preserve lemons. Our lemon tree is always overflowing so this would be a great way for us to save them.